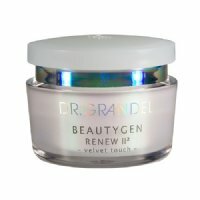 A face treatment that helps to improve elasticity and smoothes lines and wrinkles. The interaction of active ingredients gives the skin maximum youthfulness: Snow algae extract activates the skin's "beauty gene", protects the collagen fibers and improves elasticity. 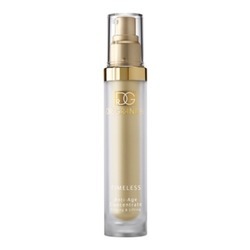 The active-ingredient complex Cell-Protection-Peptides neutralizes free radicals and stimulates the skin's cell protection, accelerates repair mechanisms and smoothes lines and tiny wrinkles. 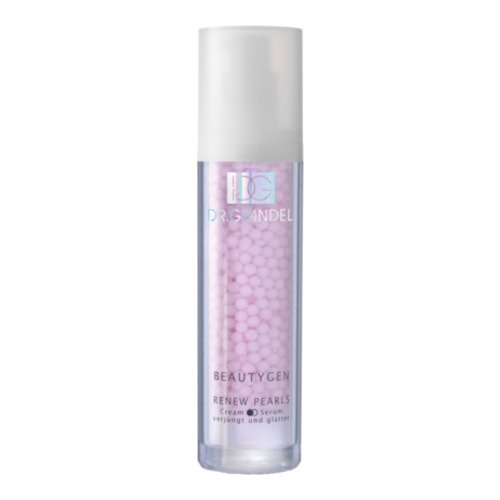 Depending on the need for skin care, Renew Pearls can be applied by itself or in combination with 24-hour skin care from the BEAUTYGEN series. After cleansing and suitable eye care, apply a hazelnut-size quantity of RENEW PEARLS to face, neck, and décolleté. When RENEW PEARLS are used as a standalone final care product, it is advisable to apply RENEW ESSENCE or an ampoule underneath the 2-phase product. Tip: Renew Pearls is also excellently suited as make-up base. It will give the skin a freshness boost and leave the skin smooth and lusciously groomed.